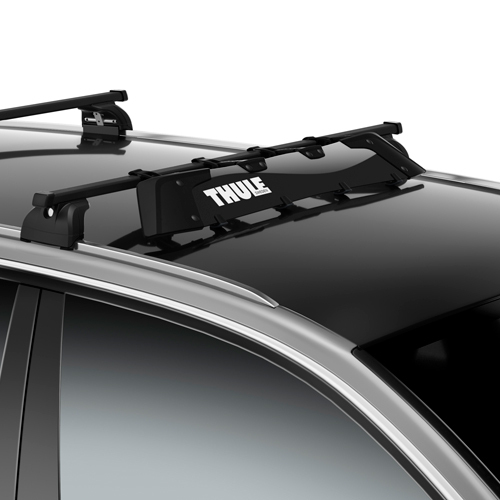 The Chevy Aveo 04-06 Complete Thule 480 Traverse Roof Rack includes everything you'll need to attach a sport rack to your Chevy Aveo sedan. 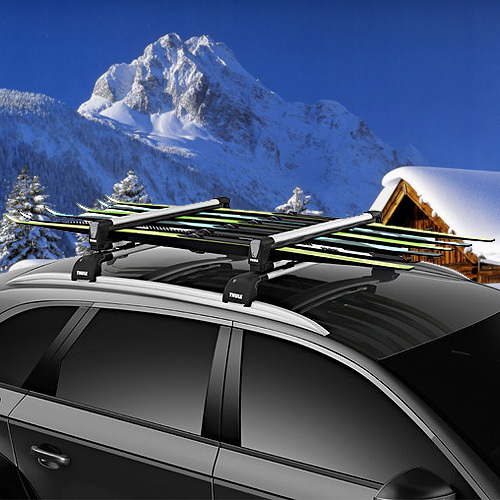 This complete rack includes 4 components: Thule 480 Traverse Foot Pack, one pair of 50" load bars, 4 end caps and Thule Fit Kit 1303. The Traverse sits on a rubber pad which rests on the roof of your vehicle. Load bars slide through the Traverse foot. The Fit Kit attaches the components to the roof. Thule Lock Cores are sold separately. Fits all Chevy Aveo 4dr and 5dr model 2004-2006.